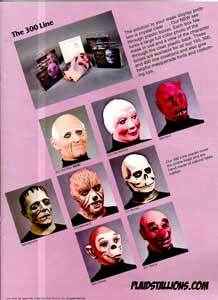 Most children of the 70's know of Don post Masks through the "Captain Company" ads in the back of magazines such as Famous Monsters. 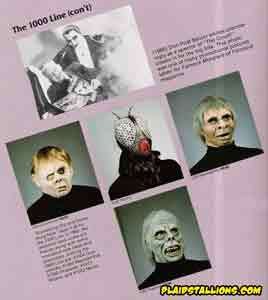 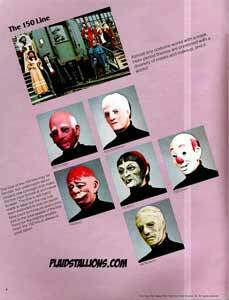 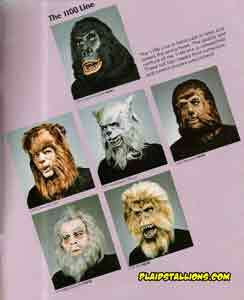 A name identifed with rubber masks, many Don Post items made their way onto low budget movies and television shows especially in the 70's where you could see Don Post creations on "Wonder Woman", "Logan's Run" and even an episode of "Quark". 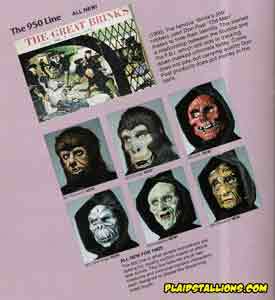 The Universal Monsters that made kids drool throughout the 60's and 70's appear to be absent in this catalog, the Mummy, Frankenstein and Wolfman appear to be somewhat generic. 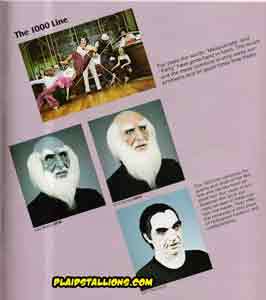 The Universal Monsters that made kids drool throughout the 60's and 70's appear to be absent in this catalog, although the Phantom is clearly Chaney and the Count looks an awful lot like Lugosi. .
Star Wars was a hot license for Don Post, they held it for 22 years. 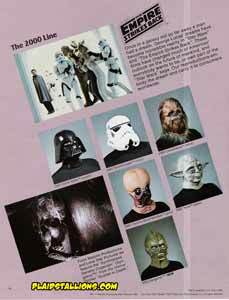 New to this catalog is the "Syngenor" from the movie "Scared to Death", would it prove to be popular as Darth Vader?. 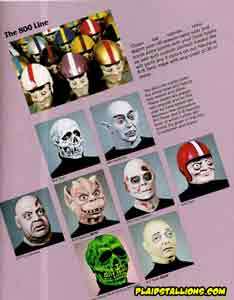 The Tor Johnson mask pictured above was actually used in the movie "The Munster's Revenge" which I'd actually like to see again.